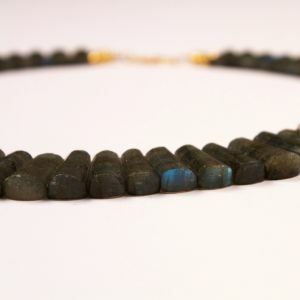 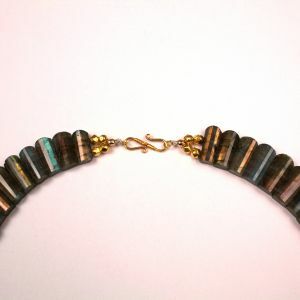 Faceted labradorite pellets lay side-by-side, strung on silk thread and joined with gold wax beads and an 18-karat gold clasp. 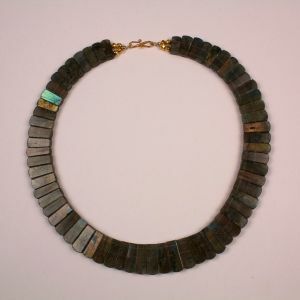 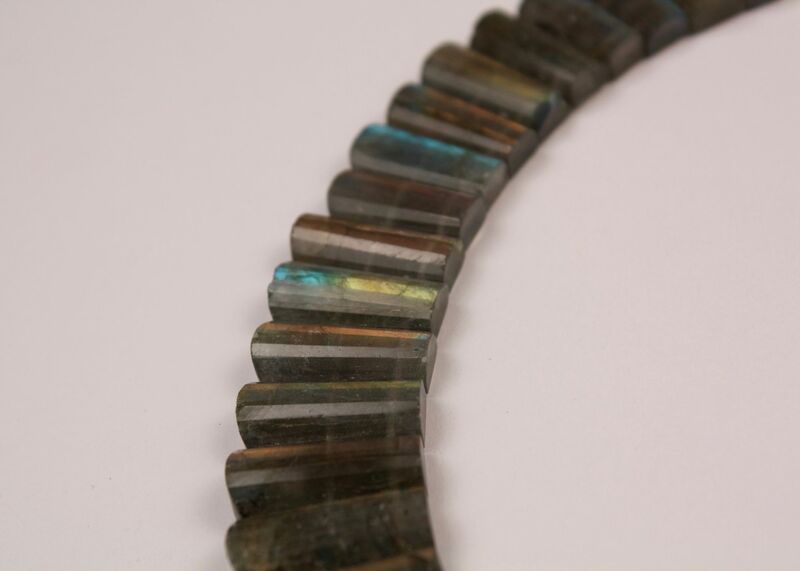 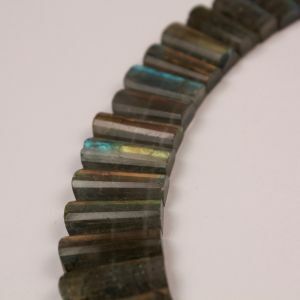 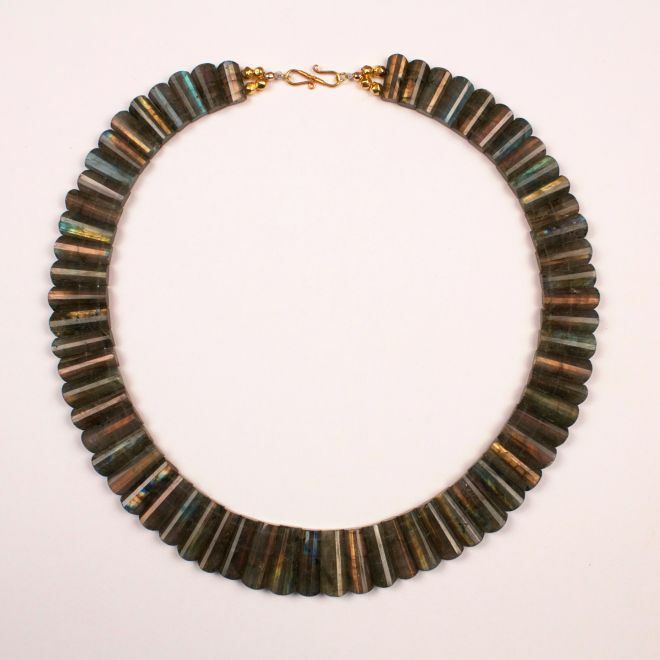 A very well-matched strand of beads, this contemporary collar rests comfortably around the neck and flashes organic greens, blues and purples that change with the light. 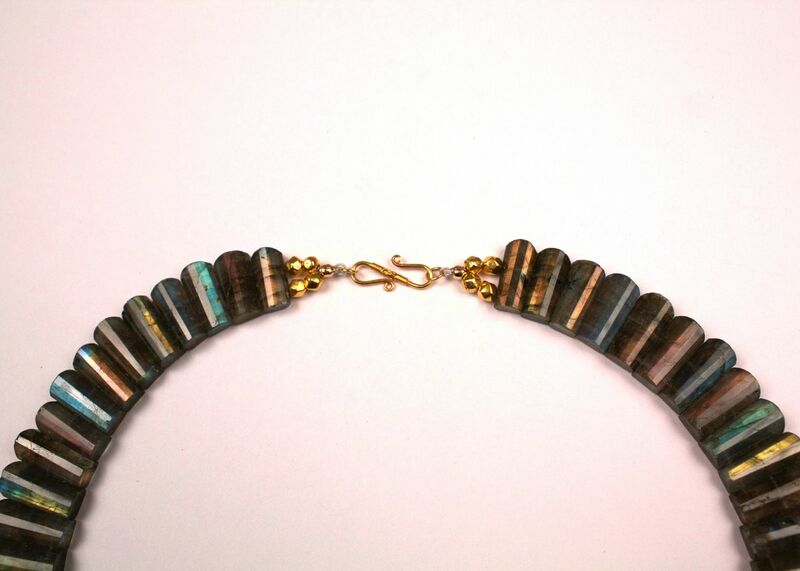 Inside length measures 17.50".